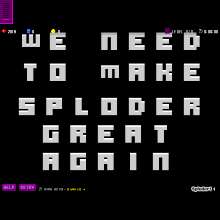 WE NEED TO MAKE SPLODER GREAT AGAIN!!! Friend me to support the cause! Play this game Geoff!